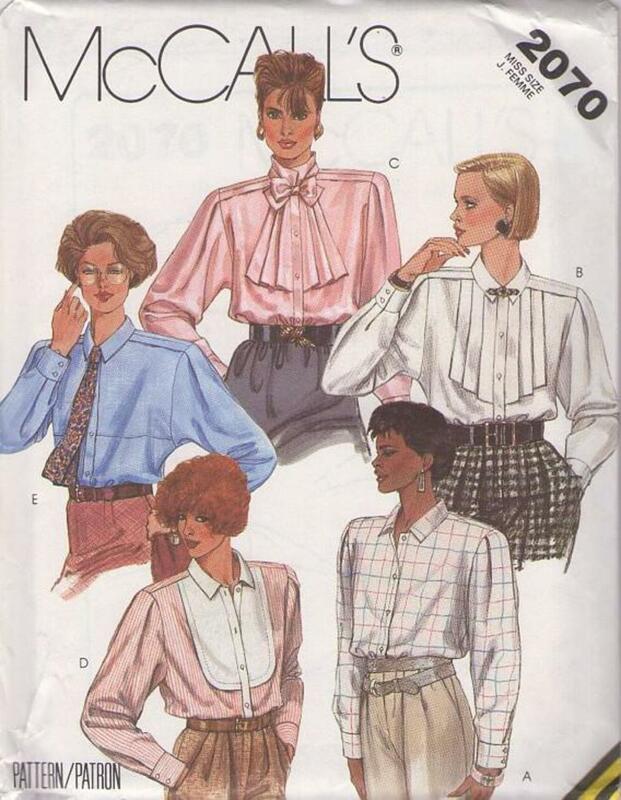 1985, 80s Career, Retro Evening Clothing Patterns - MISSES' BLOUSE AND TIE: Blouses have self-lined back yoke with for ward shoulder seams, shoulder pads, collar and buttoned front bands; long tapered sleeves have pleated caps and buttoned cuffs. VIEW B, C and E have self-fabric shoulder bands. 8 has jabot with pressed pleats. C has bias jabot with soft pleats and separate tie. D has self-lined bib, collar and front bands of contrast. E has loose front yokes , optional purchased tie.